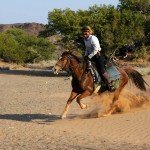 Oldest Desert in The World on Horseback - Journey of a Lifetime! These rides are only suited for intermediate and experienced riders who are fit and have stamina. Rates are quote per person sharing. These are all set departure rides. 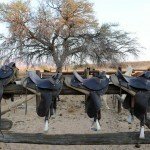 Namib Lodge based Rides – Suitable for self drives in Namibia. Please enquire about shorter stay and private trips on other dates. 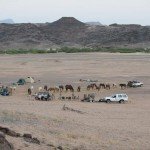 Includes – All riding, twin accommodation, all meals and drinks while camping, guides, back up team, equipment and road transfers. Excludes – Flights, personal drinks at lodges/restaurants & tips. if a rider is over 85kgs with their riding gear on their is an extra horse supplement of £750/€845/$1,015 per person. ** Please note that this route often experiences delays. 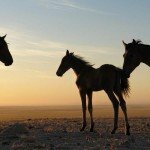 Some 20 years ago ReitSafari pioneered horse safaris across the Namibian desert. 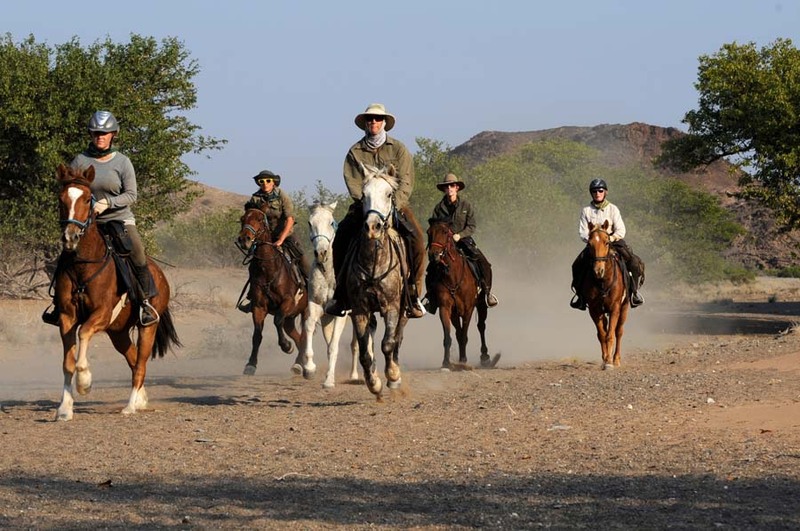 Now as the Namibia Horse Safari Company, headed up by Andrew Gillies who owns and personally guides each safari. The operation offers riders a truly unforgettable adventure in one of the World’s most spectacular wild places – The Desert Ride. 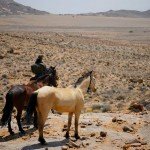 Crossing the oldest desert in the world on horseback is a journey of a lifetime! 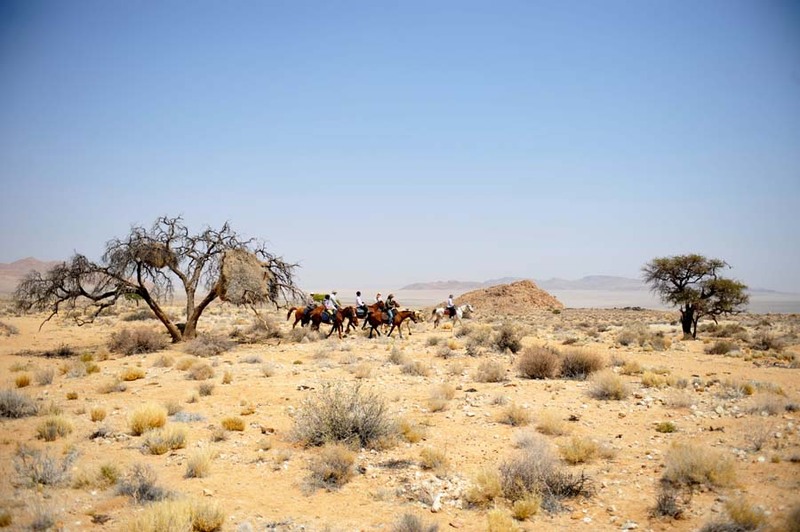 The Desert Ride is also one of the toughest rides in the world and not for the faint hearted. 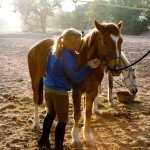 Tremendously rewarding, it challenges you the rider and builds mutual respect between yourself and your horse. 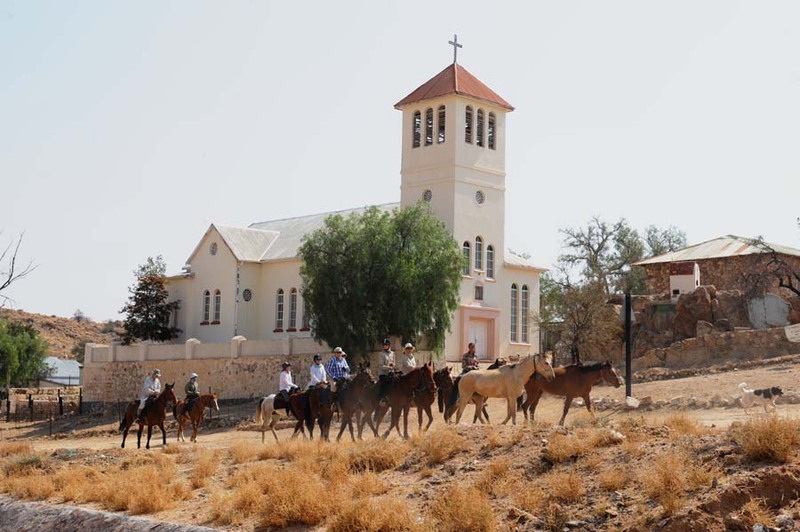 The Desert Ride in Central Namibia offers spectacular and fascinating contrasts which guests breathtakingly enjoy – from Khomas Hochland mountains and escarpment to the Kuiseb Canyon; the Tinkas, Tumas and Welwitschia plains, Moon Valley, the seasonal Swakop River and the coastal dunes of the Atlantic Ocean. 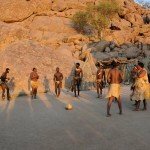 Damaraland is a very spectacular part of the country, almost inaccessible, with amazing colours and vast open spaces that will blow your mind, ancient craters and remnants from prehistoric times, not to mention the forbidding Skeleton Coast. We may encounter elephant, rhino, cheetah and plains game or be caught by rivers in flood, all of which combines into a tremendous adventure. 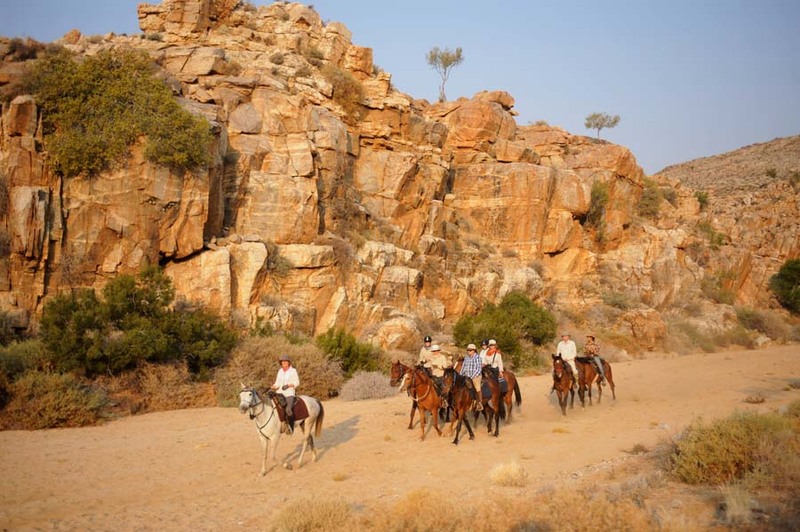 A combination of dramatic canyon landscapes, open desert plains and the mighty Orange River, this ride offers the opportunity to experience both inaccessible Namibia and real wilderness areas, while riding without limitations. 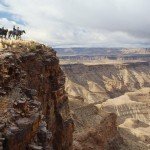 The Fish River Canyon area is world renowned as one of Africa’s most magnificent sites; it is also the second largest canyon in the world. 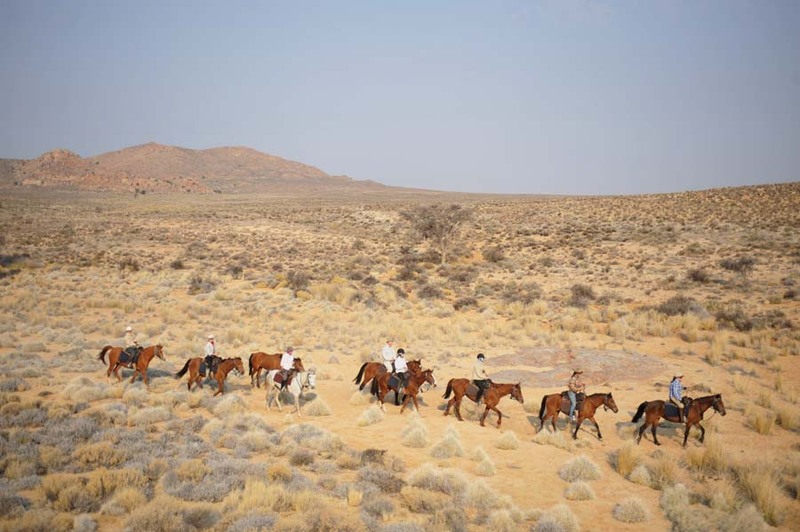 Riding begins in the upper Fish River Canyon, before Nama Karoo plains invite you for endless canters, only to be stopped by the Orange/Gariep River, which forms the southern border of Namibia. Distances covered daily will vary between 20 and 50 kilometres. 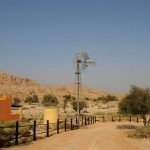 This ride crosses two private parks – Gondwana Park and Aussenkehr Park, which cover an area of about 237,000 hectares dedicated to conservation and tourism. 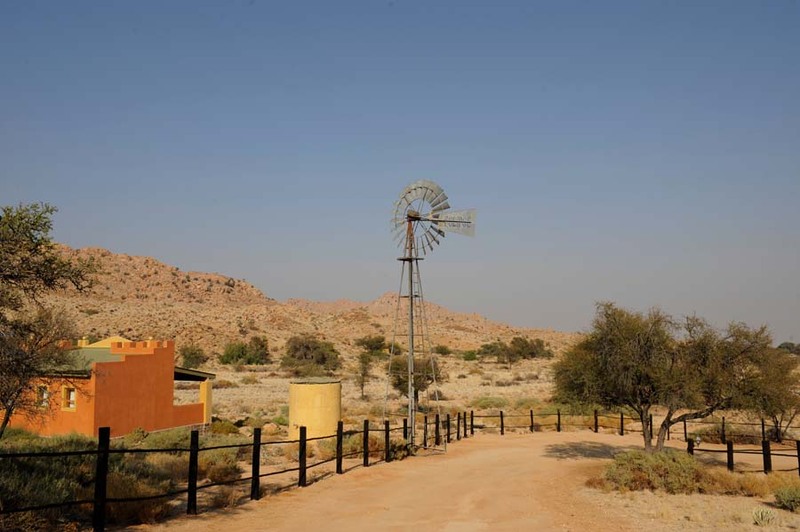 These Parks fall within the Nama Karoo Desert biome and are on the fringe of the transitional area between Nama Karoo and Succulent Karoo, the Orange River basin at Aussenkehr being the most arid part of the Nama Karoo biome. 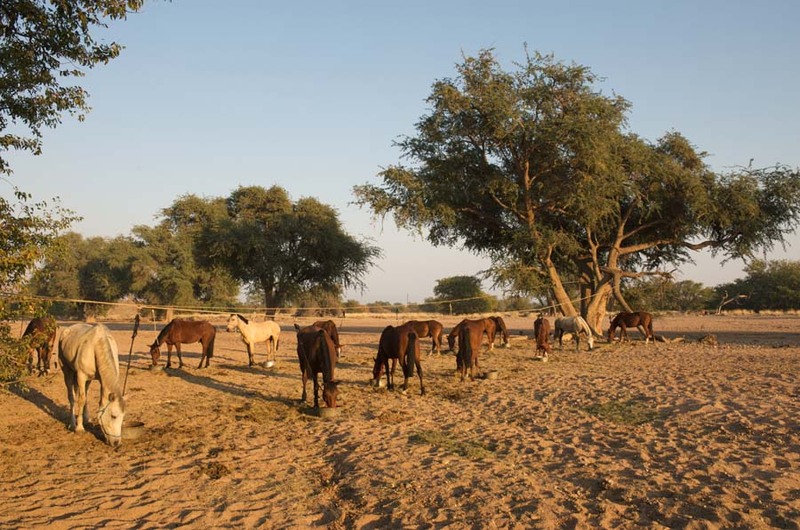 Aussenkehr Park is also home to a small population of Namib Feral Horses, descended from seventeen horses of the original wild horse population at Garub in the Namib Desert, relocated during the 1992 drought. 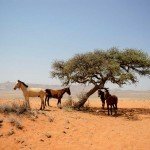 This is a very exciting desert ride with many unique attractions to be experienced; see the magical red dunes of Sossusvlei which are the highest in the world, discover contrasting landscapes, challenge yourself with some technical riding and have the chance to see the wild horses of the Namib Desert. This is an Exploratory Ride – the route has yet to be finalised. 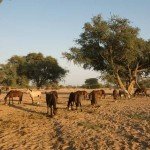 Horses – In the most part they are crossbreeds from a variety that arrived in Namibia in the past century, including Thrakener, Hanovarian, Shagya Arabs, Boerperde & Cape Horses, with more recent additions of Arabians and even the odd Haflinger. 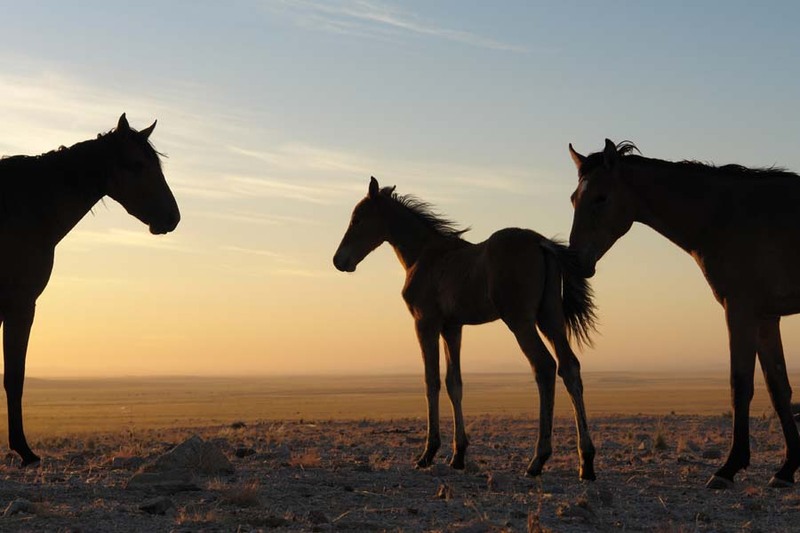 Recently there has also been some Nooitgedacht horses added which are known for their hardiness and kind temperaments. 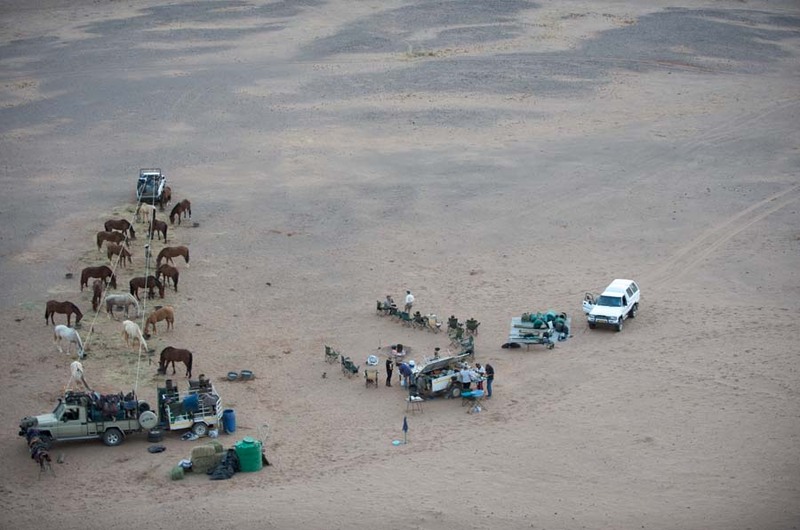 Overall the horses are generally smaller in body size to help survive the harsh dry and mountainous environments. Level of Riding & Pace – This an extreme challenge, therefore riders must be Intermediate plus and be very fit. 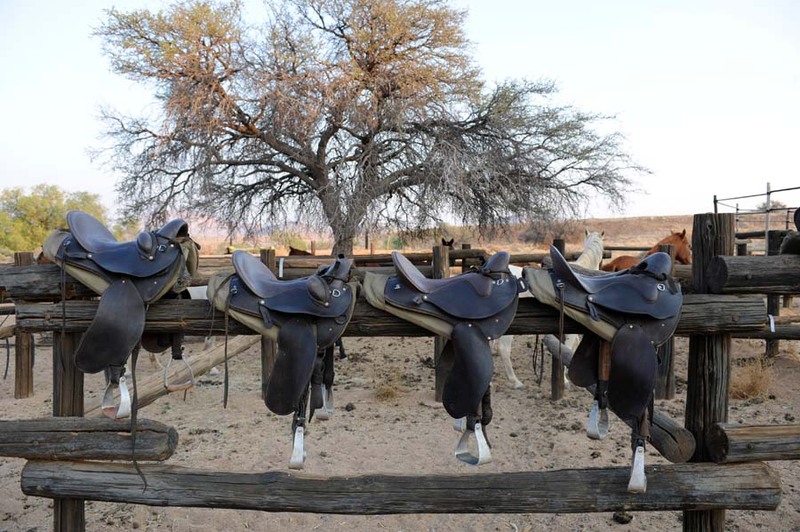 Tack – Comfortable skirted Endurance saddles. Each saddle is fitted with 2 specially made water bottle holders with water bottles supplied. You may also want to bring your own seatsaver for extra comfort. You are also responsible for grooming, checking over and tacking up your own horse. Weight Restriction – There is a strict weight limit of 85kg dressed in full riding gear – fit riders heavier than this can be catered for easily. A 2nd horse will be provided at an extra supplement, price on application. 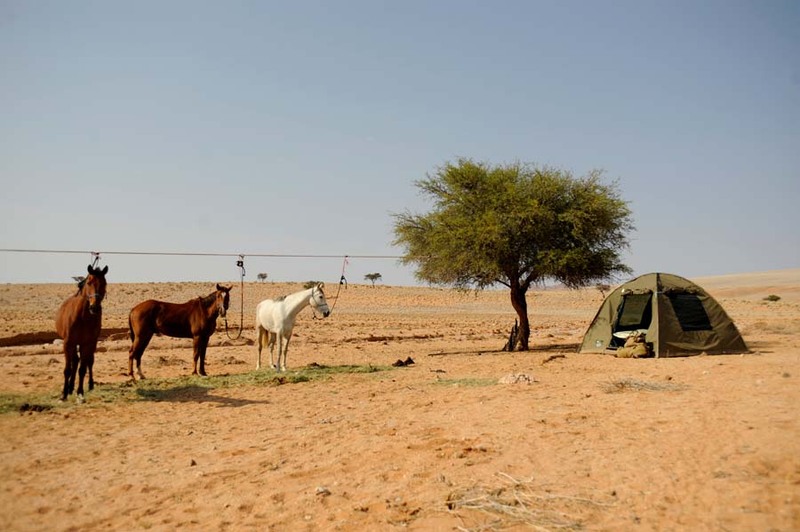 There is a mix of accommodation – a couple of nights in comfortable lodges at the beginning and end of the ride and basic camping in between, simple dome tents with camp beds. Camps are set up and moved ahead of you by the back up team / vehicle. 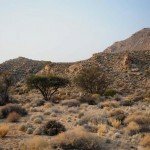 Obviously, there is limited water in the desert but showers are usually possible. 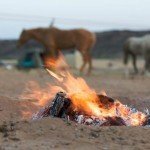 You can also expect surprisingly good food while on The Desert Ride adventurer trek from porridge and eggs for breakfast, salads and sandwiches for lunch and 2 course evening meals, cooked right on the campfire. 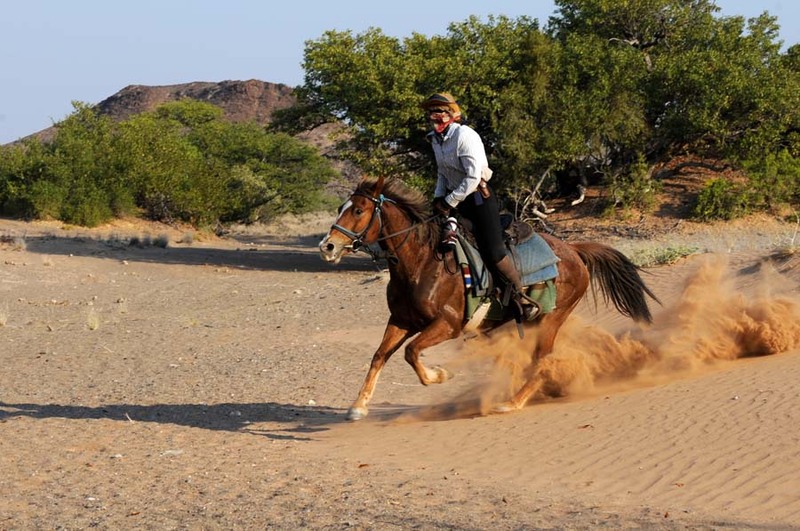 Horse Riding Holidays on The Desert Ride is part of the Zara’s Planet Horse Riding Holidays Namibia collection. 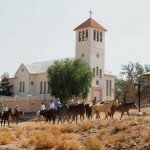 You will be met on arrival at Windhoek International Airport and transferred to River Crossing Lodge with its impressive view over Windhoek. 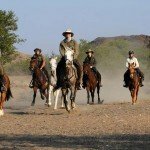 Here you will meet the rest of your riding group for dinner and a Namibia Horse Safari Company representative will brief the group about what to expect on your adventure on The Desert Ride. 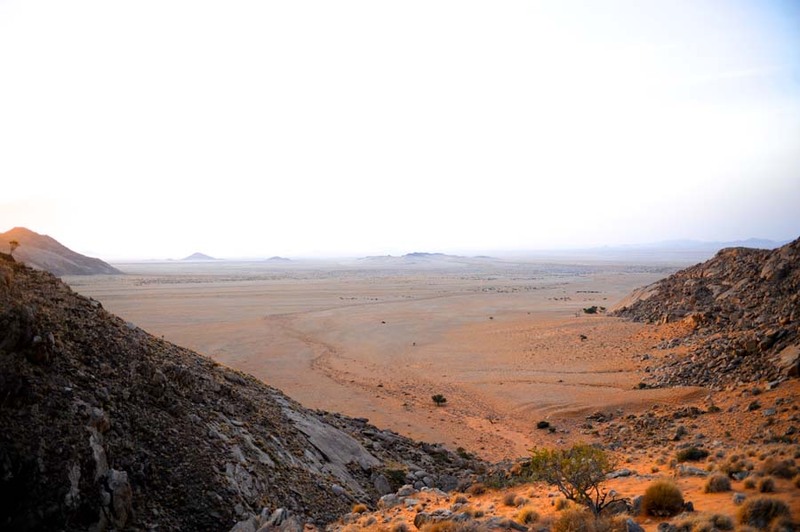 After breakfast you depart for Sesriem (a journey of about 4 hours) via the Spreetshoogte Pass which affords the first enticing glimpse of the seemingly endless Namib Desert below. 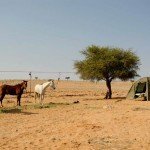 At Sesriem you will meet the horses and crew at the campsite under some ancient Camelthorn trees. This afternoon’s excursion is to Sesriem Canyon and the terminal pan of Sossusvlei itself. You are welcome to attempt to climb the towering dunes for a spectacularly panoramic view. Enjoy sundowners in an idyllic desert setting with a sinuously curving dune crest forming a dramatic backdrop in the fading light. 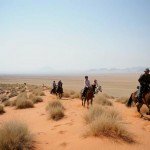 The start of The Desert Ride adventure takes you up a wide grassy valley flanked on one side by the edge of the Namib Sand Sea. 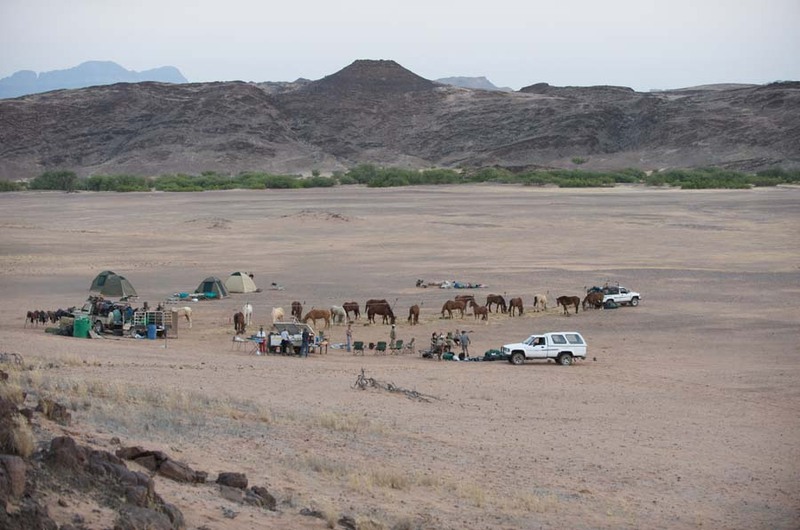 Both lunch, at Tsamsvlei, and your evening camp at Namib Water are near water points which are magnets for desert-adapted game such as Oryx, Springbok, Ostrich and Wildebeest (Gnu). This evening’s camp, at the foot of a long vegetated dune, offers the first opportunity to sleep out under the magical Milky Way. 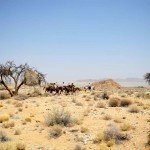 This morning sees you traversing the edge of the Namib Sand Sea, crossing dunes so old that vegetation has established a hold, supporting a surprising variety of wildlife in this seemingly inhospitable environment. 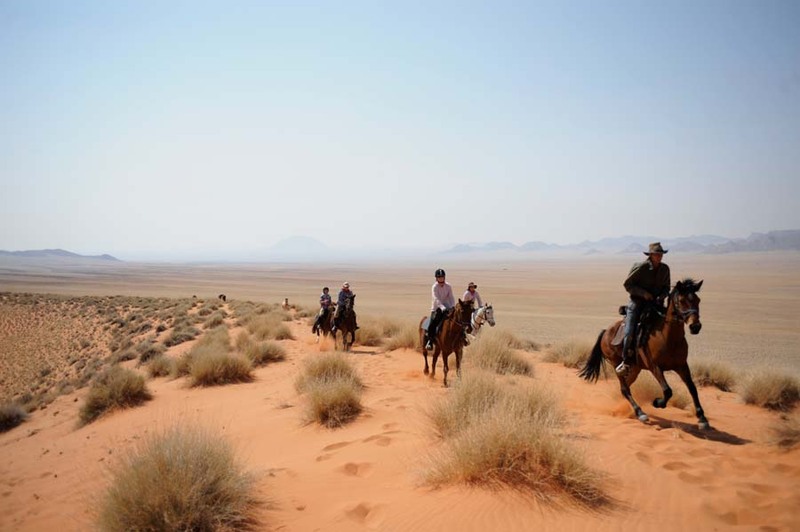 Riding between long linear dunes which actually amount to mountains of sand, this unspoiled wilderness offers some striking scenery. 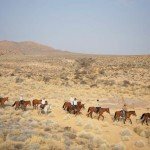 In the afternoon the pace quickens as you ride across the wide plains of a riverbed before a gentle climb up to your campsite on a hill. Dinner is served in an old farm dam that has been converted into a wonderful dining room! This morning cross red dunes before a rugged decent into the craggy Gaub canyon where you stop for lunch. This afternoon sees you climb back out of the canyon before continuing across the wide plains to a cave with far reaching and spectacular views of the badlands of the ephemeral Kuiseb River. 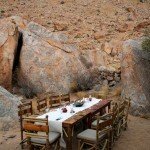 Today you will negotiate the bizarrely rugged Kuiseb Canyon to reach your camp on the northern bank at Aruvlei. 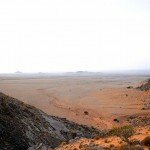 It is the Kuiseb which forms a dramatic end to the Namib Sand Sea, flowing just often enough to prevent the dunes from crossing the river. 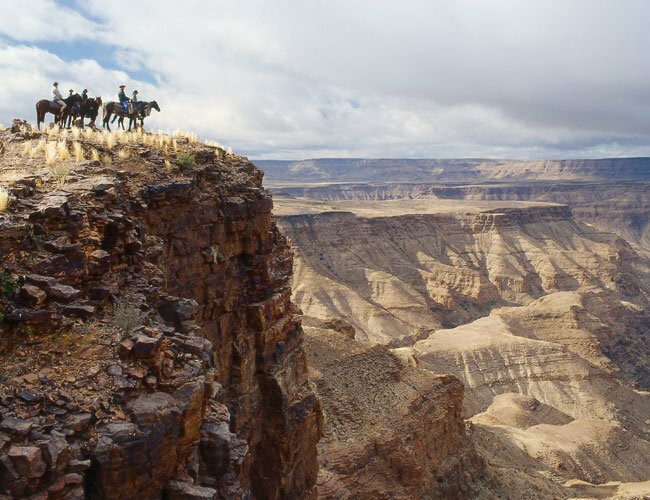 The tracks of Mountain Zebra criss-cross the steep sides of the canyon all leading to a year-round supply of precious water which is preserved by the high, narrow walls of the canyon. 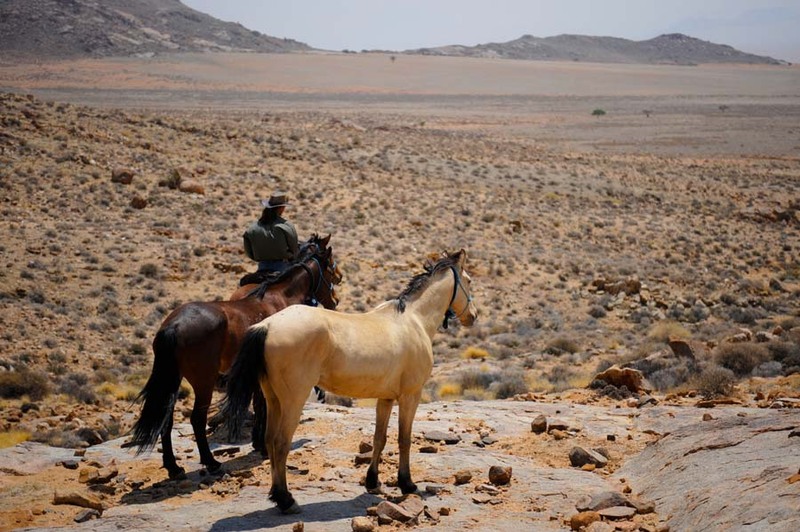 Good terrain affords some faster-paced riding towards the water-point at Ganab where Mountain Zebra, Oryx, Ostrich, Springbok and if you are lucky some desert-adapted warthogs come to drink. Here the wide grassy plains are scarred by several watercourses, some only distinguishable by the long lines of trees which mark their course, sometimes giving shelter some desert-adapted Giraffe. Another day which affords some faster-paced riding to Hotsas across the Tinkas and Tumas plains, which become ever less vegetated as you approach the coast. 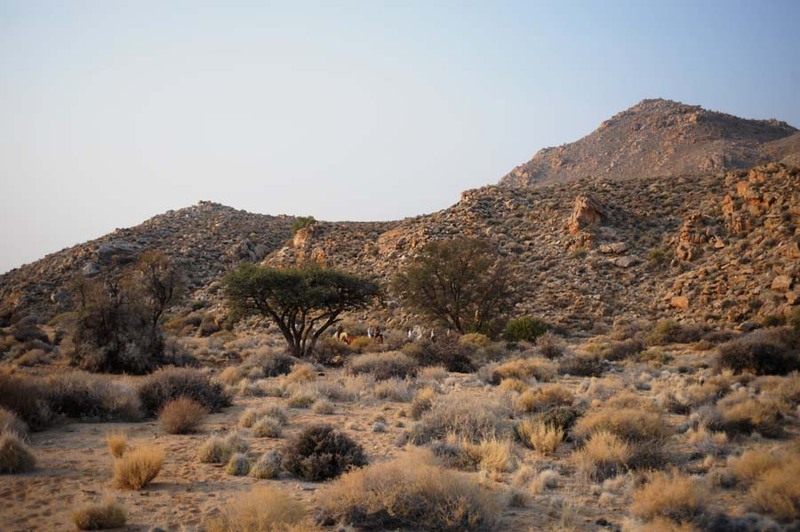 On approaching the Marble Mountain, you will often see Ostriches and Mountain Zebra running alongside you, curious about the unusual centaurs inhabiting their desert. From now on life-giving evening fog can be expected, producing 5 times as much precipitation than rainfall in this hyper arid area. Today’s ride takes you through the hyper aridity of true desert-scapes where you encounter the dinosaur-like of plants, the gnarled Welwitschia Mirablis. Strange shapes form and disappear in mirages and fascinating survival devices of desert adapted creatures astound; this is a land of great antiquity and also tremendous solitude. 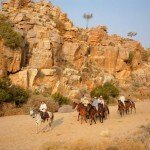 Pass through the spectacular Moon Valley on your decent to a wonderfully sheltered campsite in the Swakop River. Set off on your final ride down the Swakop River to the coastal dunes, before reaching the Atlantic Ocean. See your first glimpse of a town in ten days! The last stretch of riding is along the soft white beach sand of Swakopmund. 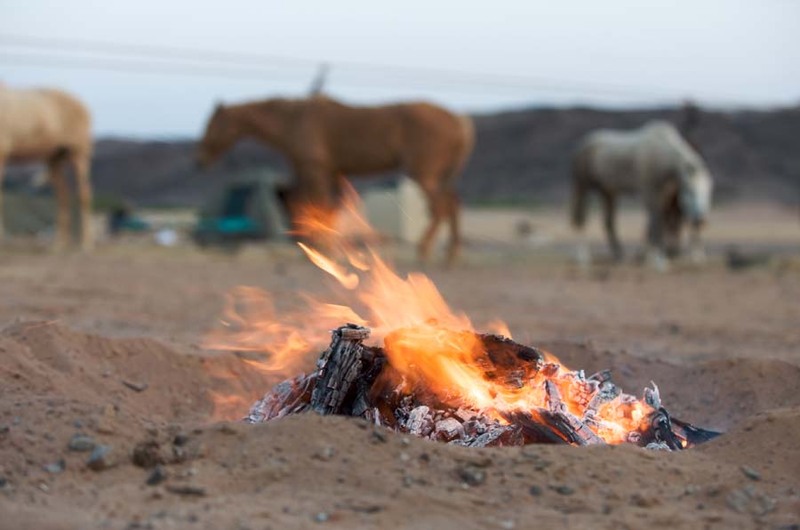 Tonight’s accommodation is a comfortable guesthouse while the horses enjoy their well-deserved rest in a large sandy paddock with a wonderful view of the sea. 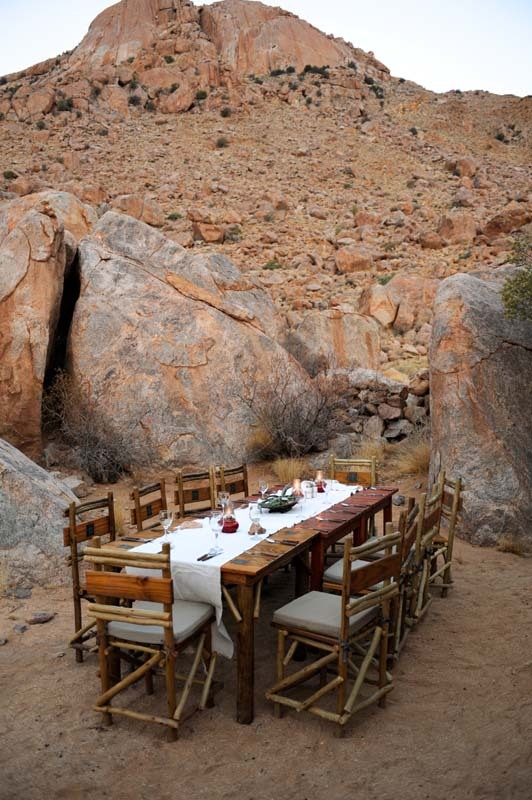 After sundowners, enjoy your last memorable meal together, reminiscing over an adventure unlikely to be forgotten. 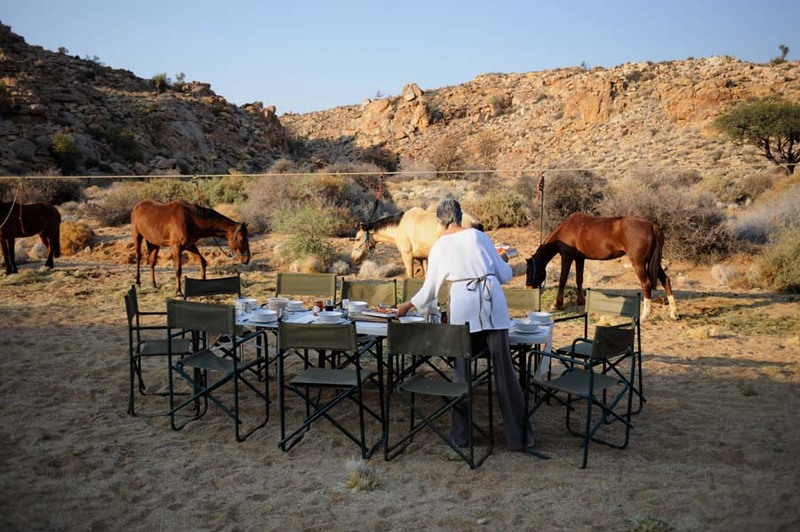 Say a fond farewell at breakfast as the transfer to Windhoek (a journey of c. 5 hours) leaves in time for the late afternoon departure flights from Windhoek International Airport. Please note: Itinerary routes and accommodation are subject to change, due to circumstances unforeseen and beyond our control. 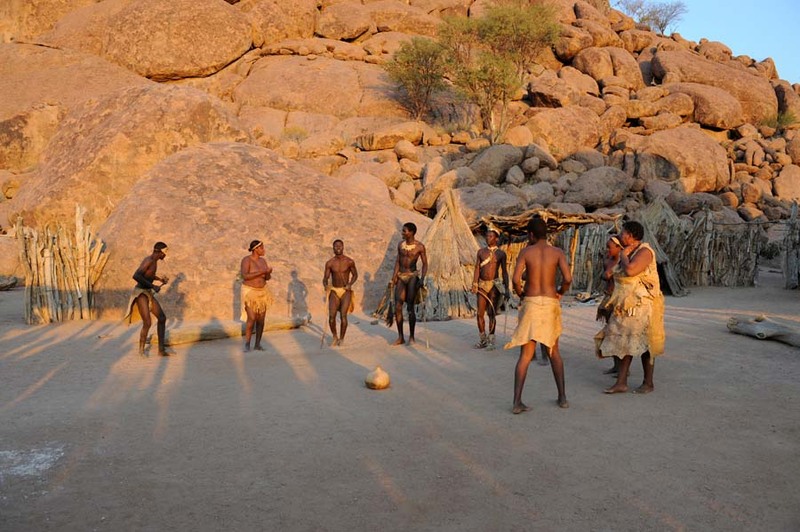 Many guests extend their Namibia experience from this point with an add-on itinerary. 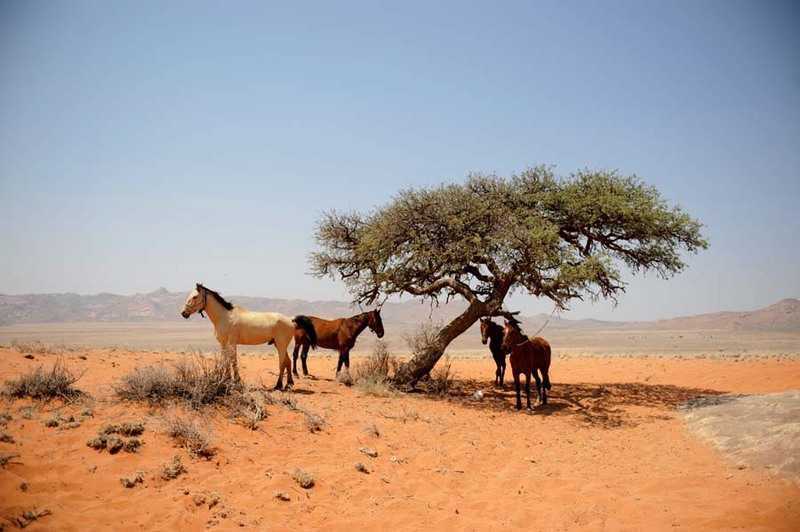 Local attractions include the highest dunes in the world – the spectacular Sossusvlei. 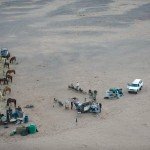 Go dune sand boarding, desert sky diving, dolphin cruising or surf fishing. 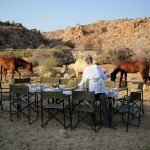 If it‘s big game viewing you’re after, take a short charter flight to world famous Etosha Pan and experience African luxury in a unique treetop camp or a desert fort. We can easily make these onward arrangements for you. Brilliant! Every moment to be treasured and remembered. Truly the best holiday I have ever had! Brave, honest 'Metallic', long canters, superb food and plenty of laughs with good company. What could be better.